Do you bring STEM into everything you do with youth, or avoid all things STEM? Maybe you love the “T”, but fear the “M”? We want to hear from you about current practices, future hopes, and / or persistent challenges around Science, Technology, Engineering and Math in your program. Please take a few minutes to complete our STEM survey. Complete the survey by March 31 to be entered into a drawing for a FREE REGISTRATION to the Bridge Conference. Pi Day – How are you celebrating? 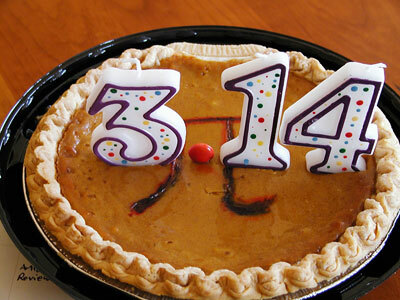 Pi Day is celebrated on March 14th (3/14) around the world. Pi (Greek letter “π”) is the symbol used in mathematics to represent a constant — the ratio of the circumference of a circle to its diameter — which is approximately 3.14159. This year’s Pi Day will be EπC (EPIC) because the date will be 3/14/15. Celebrate at 9:26:53 for bonus points! Traditional celebrations include fun math games with circles, eating all kinds of pies (including pizza pie), and Einstein lookalike contests (Einstein’s birthday also happens to be March 14th). When: Wednesday, April 8, 2015 | 12:30 – 3:30 p.m. and 4:30 – 7:30 p.m.